When I reflect on my own values and actions I hope that this is the life I’m living. Last year I noticed an article in our local newspaper, the Bendigo Advertiser, which asked people to share stories about their random acts of kindness. For instance – giving someone a smile, visiting an animal shelter, and making your workmate a cup of tea. I’d like to think most of us do these things without too much thought. Recently, my Castlemaine train to Melbourne had been delayed by an hour and I decided to drive the 120 kilometres. As I was walking to my car, I asked a fellow commuter if she would like a lift. Whilst she was prepared to wait for the train, the lady felt extremely grateful and accepted my offer. 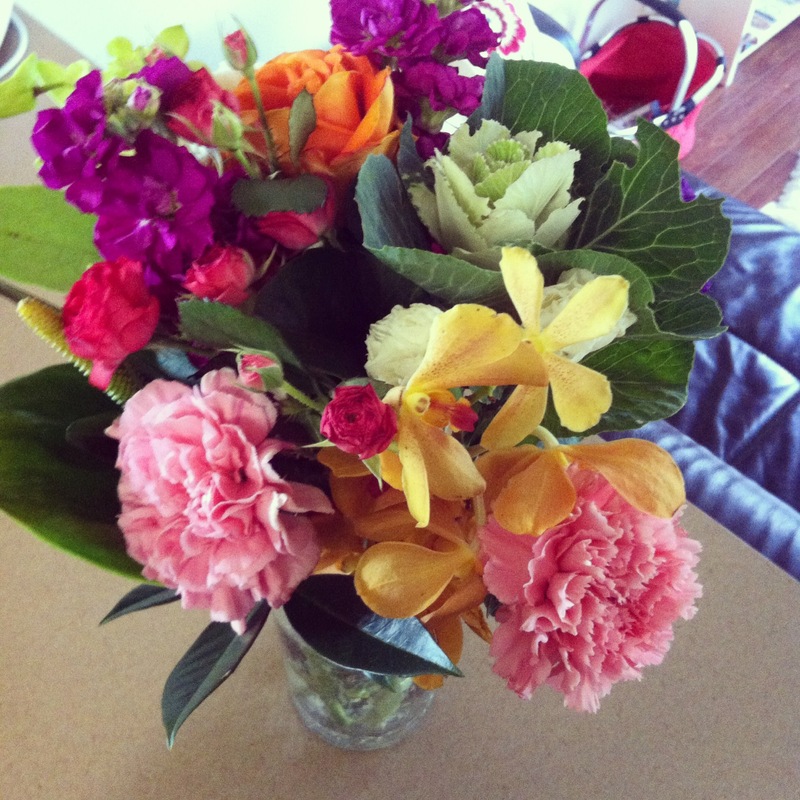 Last week, my friend Wendy visited and brought me a gorgeous bunch of flowers (pictured). I was very touched at this thoughtful gesture. Another notion of generosity is called paying it forward. Have you heard about suspended coffee? This is where a cup of coffee is paid for in advance as an anonymous act of charity. Check out Radio National’s segment here where they discuss caffeine kindness. Now and then I’ll help people with a resume or cover letter without charging a fee. People have generously helped me get started with my business so I like to pass along the goodwill. How do you make your life one that’s kind to others? Previous postAre you on LinkedIn? Great article, kindness and compassion, both so important and one often doesn’t find out until years later the impact it may have had on a person. Love it!